The Old Bailey in London on Friday heard the medical history of a South African mother who smothered her disabled twin sons with a nappy before killing their older sister and trying to kill herself, the UK-based Press Association reported. Prosecutor Zoe Johnson QC told the court that in May 2011, a doctor noted that Tania Clarence, 43, was "seriously over-stretched/ under intolerable strain" from all the medical appointments and daily routine of dealing with the three disabled children. "One cannot underestimate practical as well as emotional difficulty this family face," the doctor added. In Spring 2012, Clarence told a private psychologist she was "struggling with life", but never followed up the call with therapy. At the end of that year, she told medics that she did not want to see her children's suffering prolonged, and that "if they were in South Africa they would go to the top of a mountain and die". Around this time, the family was allocated a social worker with expertise in looking after children under five, but in February 2013 she was replaced by a social worker who had been in the job just six months -an "ill-conceived decision" in hindsight, Johnson said. Clarence would say: "Unless you experienced what they are going through you cannot understand what it is like every day of your life knowing that your children would die before you." By January last year she was tearful and admitted she had a history of depression, but declined treatment, the court heard. During the court proceedings, Clarence wept in the dock as a court heard how she killed her children before trying to commit suicide. Clarence has admitted the manslaughter by diminished responsibility of Olivia, four, and three-year-olds Ben and Max at the family home in New Malden, south west London, over the Easter holidays. The children were found dead -- tucked into their beds with toys arranged around their heads posed as if on a "bier" lying in state. After just 20 minutes of listening to the "grotesque" details at the Old Bailey, Clarence became too upset and was excused by Justice Nigel Sweeney. Her husband, investment banker Gary, and other family members stayed behind in court despite appearing distressed. Johnson said all three of the children had suffered from the muscle-weakening condition SMA type two, and that had the Clarences known before the twins were born, they would have agreed to abort the pregnancy. Days before the killings, Clarence's husband had taken their eight-year-old daughter, who is not disabled, on a holiday to South Africa. He left his wife alone with her other children, having given a nanny a day off. She decided to end their lives in the early hours of April 22. Johnson said: "She smothered the boys first whilst they were sleeping using a nappy so they would not smell her. "She found it much harder to kill Olivia, and wrote a letter to her husband in the time between killing the boys and killing Olivia." The deaths were discovered that night after a nanny, called Jade, was phoned by Clarence's mother, who had tried to contact her during the day but without success. Accompanied by her friend Daniel Magagnin and a pastor, they let themselves into the house and found Clarence in her bedroom. "Jade gave Mrs Clarence a hug. Mrs Clarence lay down and pulled the duvet over her. Daniel noticed blood on her wrist and called 999. "He opened the twins' door and discovered the dead bodies of the twins. It was such a grotesque sight Mr Magagnin could not bring himself to look for Olivia as he was instructed to do by the emergency operator." Meanwhile, the court heard that Clarence handed her nanny a letter, which read: "I'm so sorry I had to do this but I could not carry on. I also could not leave the children with Gary. It would have been too much for him. "You have been such an amazing person in our lives over the last few years. Without you I most likely would have done this a lot sooner." 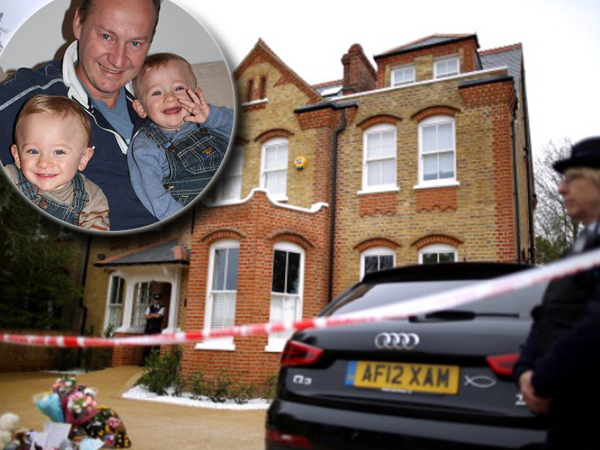 When police arrived at the house in Thetford Road, Magagnin was hysterical as he pointed a female police officer towards the bodies of the twins in their bed. Johnson said: "Each boy lay on his bed, on his back, with their eyes open and their mouths open. "Little cars and toys had been placed by their heads. The covers were neatly tucked in and their arms were on top of the covers at their sides. "Mrs Clarence had clearly placed the boys into some sort of pose, as if they were on a bier." A male officer found Olivia also in her bed with the covers tucked up to her chin and toys placed around her. Clarence repeatedly told the officers "I'm sorry, I'm sorry. I killed them". Johnson went on to outline a long history of the children's medical treatment in and out of hospital and Clarence's attitude that their quality of life was more important than its length.